Tiger Woods was born Eldrick Tont Woods on December 30, 1975, in Cypress, California. His father, Earl Woods, was of African-American descent, and a Vietnam War veteran. His mother, Kutilda Woods, is from Thailand, and is his father’s second wife. At the age of eight, Tiger proved his talent by winning the Junior World Golf Championship. As if that were not enough proof of his ability, he went on to win the championship another six times. On that episode of “The Mike Douglas Show,” Tiger outputted comedian Bob Hope. When Tiger was a young teenager, he met golf legend Jack Nicklaus at a country club during a golf clinic. Tiger was part of a performance in which he wowed the crowd and Nicklaus with his talent and skills. Earl was determined to have his son beat the records made by Nicklaus, and had done extensive research on his accomplishments. Tiger Woods has half siblings from his father’s first marriage. Tiger Woods Was Already Learning Golf At 10 Months! Tiger grew up in beautiful Orange County, California. Nike and Titleist were desperate to have Woods sign contracts with them, and they offered substantially high contracts, which at the time were record-breaking. The Nike contract offered $105 million, the largest athlete endorsement deal in 2000. In 1994, the charismatic young man graduated from a local high school. His classmates’ predictions were to come true only two years later. In 1989, at the age of thirteen, Tiger competed in his first major national junior tournament, the Big I. In this event, a professional player was paired with a junior player. Tiger Woods played against John Daly, who beat Tiger only by one stroke. Tiger’s father knew his son was something special. He worked hard with his son from an early age to develop his golf skills. 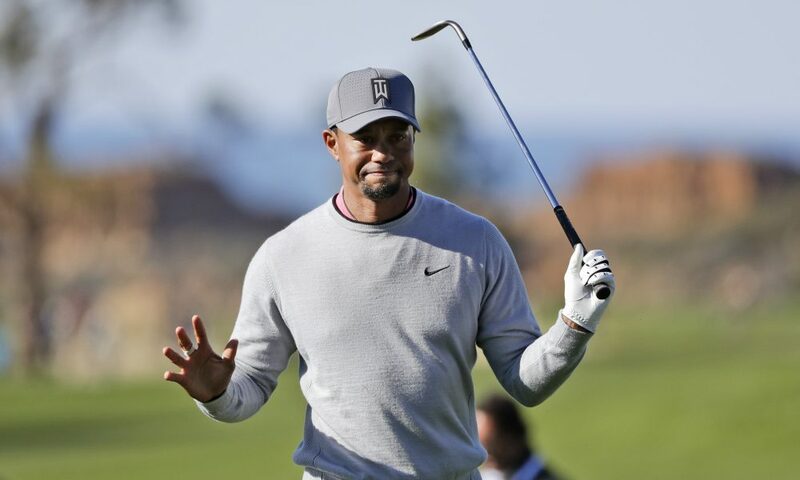 By age five, Tiger Woods had been featured in Golf Digest and appeared on the television show “That’s Incredible,” gaining notice as a child prodigy. Mainly influenced by his father’s teachings, Tiger was a very competitive player even at a young age. He would play golf with his father. Earl said that the first time he played against his son in a real competitive way was when Tiger was eleven years old. This was the first time Tiger beat his father, and it wouldn’t be the last. Earl never won a game against Tiger after that day. In 1990, at the age of 15, Tiger won the acclaimed championship of the U.S. Junior Amateur. He became the youngest athlete to achieve this. In 1993, he won the title for a third time. Tiger Woods remains the only person to have won the U.S. Junior Amateur three times. Due to his accomplishments and early fame, many colleges and universities were vying to have Tiger attend their institution. Many prestigious schools were desperate to have Woods join their alumni ranks. He eventually chose Stanford University, where he studied economics under a golf scholarship. He became a professional in 1996, and by 1997, he had already won his first major tournament. He won the 1997 Masters, which is the win that brought him his fame and popularity. He played the Masters with a record-breaking score, and reached the No. 1 position in the world by June 1997. In June 1997, after just 42 weeks of being a professional golfer, Tiger reached No. 1 according to the Official World Golf Ranking. He progressed to this position quite quickly. Woods became the youngest golfer to hold the No. 1 position, at the young age of 21 years, beating the previous youngest winner, who was 29 years old. In the year 2000, the world was getting a true feel of Tiger’s potential. He won six consecutive challenges. He won the U.S. Open and the Career Grand Slam, becoming the youngest golfer to achieve this. His efforts and skill were recognized as Woods was named Sports Illustrated Sportsman of the Year and Golf Digest named him the best golfer of all time. In 2002, Buick worked with Woods on the launch of the Rendezvous SUV. In 2004, he lost his No. 1 title to Vijay Singh, who became the new World No. 1, breaking Tiger’s record of 264 weeks.